It’s not all hot chocolate and cookies this season. Here is a delightful holiday cocktail from Café Lou Lou’s new drink menu— based on Ballotin’s collection of bourbon-ball-in-a-bottle flavors. Cheers! In a rocks or old fashioned glass pour in one ounce each the Ballotin Chocolate Whiskey and Bourbon. Fill with ice. Add a dash of bitters and stir. 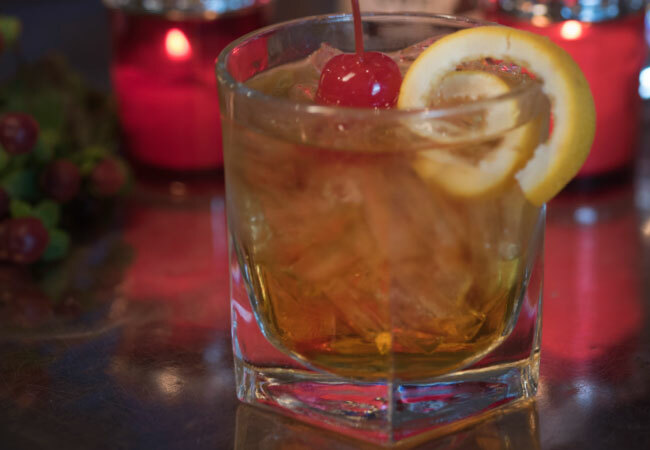 Garnish with a cherry and an orange twist.